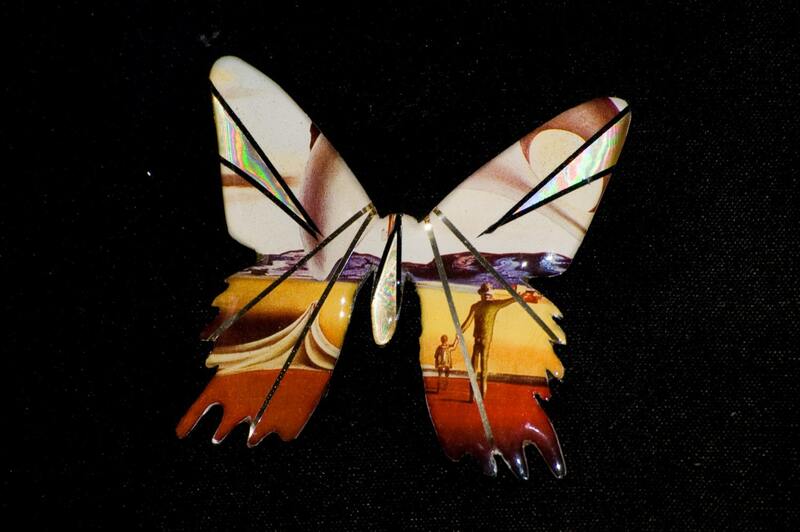 Butterfly shaped pin hand made with an image and graphics encased in brass and fiberglass. Image used is of a famous art history painting by Salvador Dali. Made by Metallic Art Graphics.